The Ministry of Health has sacked heads of three Nursing and Midwifery Training Colleges for charging exorbitant unapproved fees. 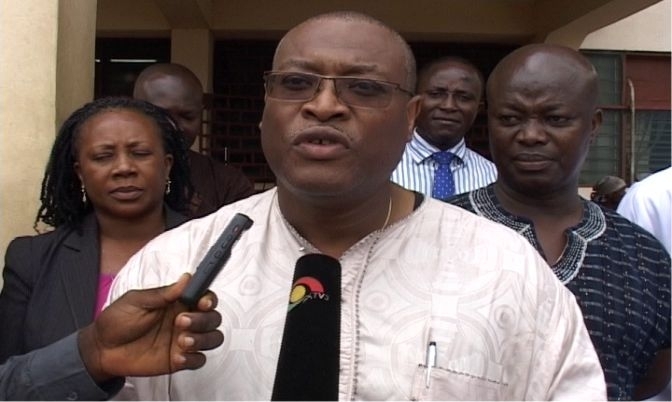 Addressing a press conference Wednesday, Health Minister Alex Segbefia announced that heads of the Mampong Nursing and Midwifery College, Cape Coast Nursing and Midwifery Training College and School dispensary Optics have all been directed to step aside while investigations into allegations of extortion from students begin. “Some schools are adding extra items as additional levies of the compulsory nature for the academic year example Cement, electronic systems fees, stationeries amongst others. “We have also learnt that some of the Christian Health Association of Ghana schools are charging an extra 500 Ghana cedis as logistic support which is unacceptable, we ask that such monies should be refunded to the students with immediate effect. Mr. Segbefia also announced that the board of the Mampong Nursing and Midwifery Training College has also been dissolved. Meanwhile, the Health Ministry is under pressure to post nurses who have been out of school for years without jobs. Members of a group calling itself the Coalition of unemployed bonded graduate nurses picketed at the Health Ministry in Accra on Wednesday. According to the nurses, petitions to the ministry over delays in their postings have not yielded any positive results. The nurses told journalists that they petitioned the Health Ministry and gave them a 1-week ultimatum to act but nothing has been done after the deadline elapsed on August 10. According to some of the frustrated nurses stated that all attempts to get them posted have proved futile.